The Author of my life highlighted the chapter of 2014 to refine my perspectives on the world and society in which I live. I rapidly gained a diverse cultural panorama traveling alone to Italy, the Bahamas, France, Belgium, and other parts of the United States. Though I missed even the basic knowledge of these cultures prior to the journey, setting foot on these unfamiliar lands motivated me to explore not only their histories but also the world less familiar to me. As I grew up in the fenced school atmosphere before graduating from Emory University, my parents have constantly brought up my lack of awareness and warned me of the “real” America. I had always refuted their theory, but applying for hundreds of jobs coming out of college taught me what my family implied. When I receive education, I pay and become a customer; therefore, the school is inclined to show benevolence. On the contrary, when I am the one being paid, the roles are reversed. Due to my status as an international graduate in eventual need of a work visa to legally stay in the States, occupations I attempted rarely considered me in spite of my exceptional academic accomplishments to avoid coping with additional governmental paperwork and spending roughly $5,000 to employ me. Originally longing to remain at Emory University to prolong my delightful memories with the school, I applied for its virtually every available position that fit my degree in English literature and work experience. Oxford College’s Office of Admission first notified me of an interview. Though excited beyond measure, I was scheduled to go on a cruise to the Bahamas, and the office never followed up on the interview in the two weeks I patiently waited. I had no choice but to explain to the office administrators my vacation plan so that they would not appoint me an interview while I am gone. Their vice president replied the email I read “was due to a system error,” suggesting I was not actually selected for an interview. I was mind-boggled the office never considered revealing this issue until I asked. Disappointed, I decided to move on from higher education jobs several days before Emory College’s Office of Admission offered me a legitimate interview, where I would be required to give a presentation, with one day’s notice. I embraced the opportunity and met with five employers, divided into five sessions. I felt obligated to mention my irregular status with the Optional Practical Training (OPT) Program, that I could not be unemployed for ninety days and thus must find out the result as soon as possible. Two employers promised to let me know in a couple of weeks to no avail. I hesitated emailing and pressuring them to speed up the selection process, but I was left with no other option when nobody from the office contacted me for over four weeks. My instinct accurately guessed somebody was already chosen but the employers did not care to inform the other two rejected candidates of the decision. I was disgusted, and this vagueness’ stealing my only time prior to the end of the year to visit my family and friends in Korea especially riled me up. I removed my account from the university’s human resources and moved on, because I could no longer risk letting irresponsible and oblivious administrators damage my grateful college memories that stem from influential and affectionate professors and classmates. Two sales companies ultimately hired me, and I accepted one without realizing I would have to give up church. The hiring manager must have known this would have created a problem based on my résumé and interviews but refused to disclose the peculiar working hours until my initial day of training. I quit instantly. 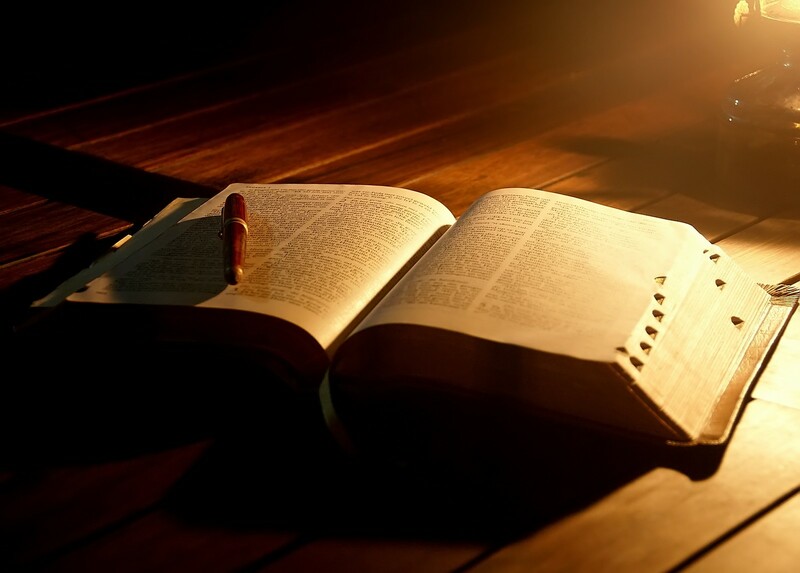 God has my stories written out. Ninety days of unemployment since enrolling in the OPT Program swiftly approached, and I had to mentally prepare to return to my home country of Korea. However, God had a plan to rescue me. I arbitrarily wanted to surprise-visit my closest professor, Dr. Harry Rusche, whom I had not seen in over four months, without even remembering where he lived. I faced no trouble locating his home, and he and Mrs. Sue Rusche welcomed me with open arms. I shared with them my situation, and we immediately found a temporary solution: I would volunteer at Mrs. Rusche’s nonprofit organization until I discover a stable job that pays and will sponsor me. This experience connected me to the realm of politics and numerous individuals with unfathomable accomplishments, including President Jimmy Carter and a retired chairman and chief executive officer of United Parcel Service, Oz Nelson, who connected me to the president. With the right to manage my own work schedule, I also participated in two films as an extra and made friends with celebrated actors. I was reminded nothing happens by accident. “2014 was a year of completion for our family,” expressed my father during my recent trip back to Korea. I completed my college studies on May 12. My brother completed his wedding on December 19. My mother, after twenty-seven years, completed her work at Merrill Lynch on December 31. I say, “2015 is a year of new beginnings.” Though I desperately need an occupation that will sponsor me with an H-1B (work) visa, I find confidence in knowing God has always led me to the right path even when I doubted Him. Whether or not I find a job in the United States, I am certain the Author of my life knows where to take me next. I cannot wait to witness what my Father has in store for me for 2015. With his lifetime dedication to bring democracy to South Korea and igniting popularity among the Korean public, my grandfather became a major threat to authoritarians who sought absolute control of the country and its citizens and hence was subject to ongoing assassination attempts, even unjustly sentenced to be executed. President Jimmy Carter, along with multitudes of other influential leaders throughout the world, successfully fought to prevent this immoral death penalty. Understanding President Carter’s affiliation with Emory University, the minute I began my freshman year, I had no doubt an opportunity to thank him would present itself sooner or later. However, in spite of the annual Carter Town Hall at the university, with chosen students even taking professional photos with President and First Lady Rosalynn Carter, I was never invited and thus remained oblivious to his near presence. Three months following my graduation from Emory College of Arts and Sciences, I attended a gala celebration, where the former president was assumed to make an appearance; nevertheless, he instead sent his grandchildren, one of whom ran for Governor of Georgia in the recent midterm elections. 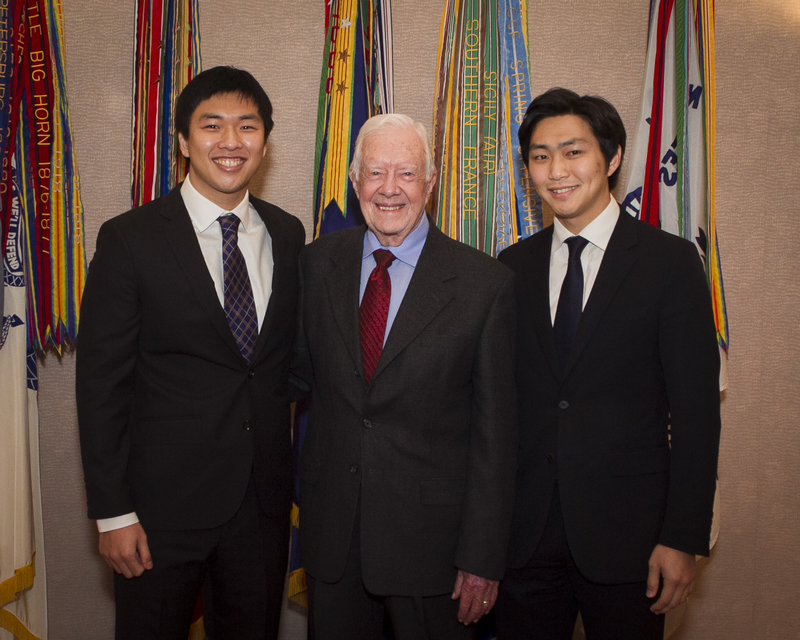 I began to lose hope in my desire to meet President Carter. National Families in Action (NFIA) staff recently gathered for a minor conference regarding registering for a new social medium to increase the organization’s audience. Oz Nelson was in attendance, and when each participant was given a minute to introduce himself or herself, NFIA president vaguely shared with Oz my background and grandfather’s history with President Carter. I elaborated on her comments, and Oz immediately asked me to join a breakfast meeting on December 5, 2014, at The Carter Center, where I would briefly talk to and take a professional photo with President Carter, followed by breakfast and an assembly. Overwhelmed with exhilaration, I suggested my brother be there as well, and Oz gladly approved. When Oz left, I was informed of his positions as chairman of the Board of Trustees of The Carter Center and former chairman and chief executive officer of United Parcel Service, leaving me awestruck by his humility. Roughly two to three hundred people participated in the occasion, but only a select few were invited for pictures with President Carter prior to the main gathering. As I shook his hand, I told him, “It’s an honor to finally meet you. [My brother] and I are grandchildren of” our grandfather. President Carter pleasantly surprisingly knew of us, asking, “One of you is still at Emory?” My father has repeatedly mentioned that, after meeting my grandfather in 1983, President Carter enthusiastically said, “Do you know whom I just met? I met my hero!” Over three decades since, to my brother and me, President Carter once again expressed, “Your grandfather was my hero … [He] was a good man” along with several other brief and warm personal messages relating to my family. Throughout this momentary conversation and process, humble Oz stood next to my brother and me to ensure we had the best experience possible. 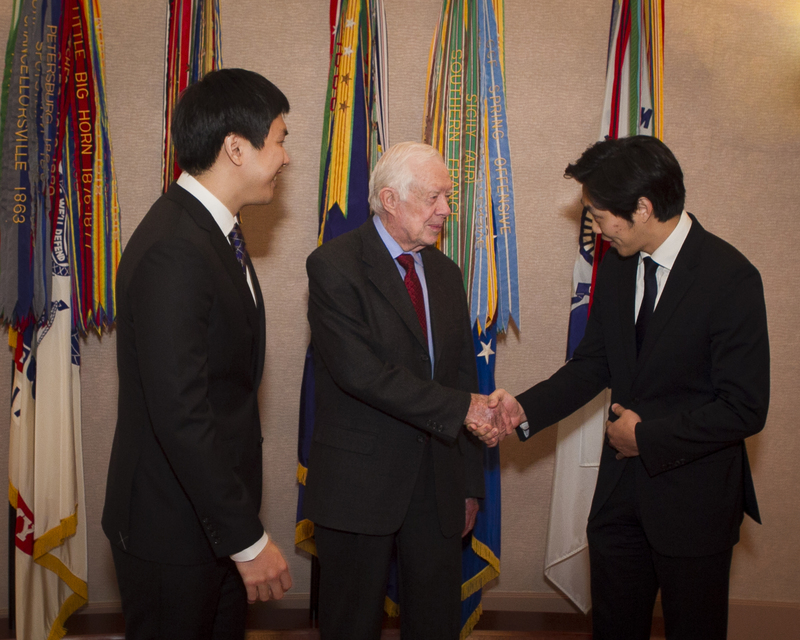 Connecting with President Carter helped refresh my family’s gratitude towards him for what he has done for my grandfather and world peace. I am confident God created this tangible moment for my family to cherish.